It's time to party like it's the year 2000 once again; complete with fancy dress, bags of surprises and games galore! 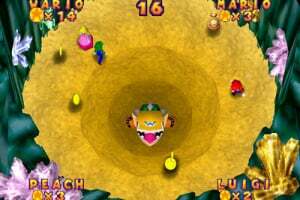 Mario Party 2 brought Mario and the Mushroom Kingdom gang back together for a brand new round of Bowser-bashing board game action. Each of your favourite Nintendo characters dons different themed outfits to take part in five fun-packed Adventure Boards: Pirate, Western, Space, Mystery and Horror. 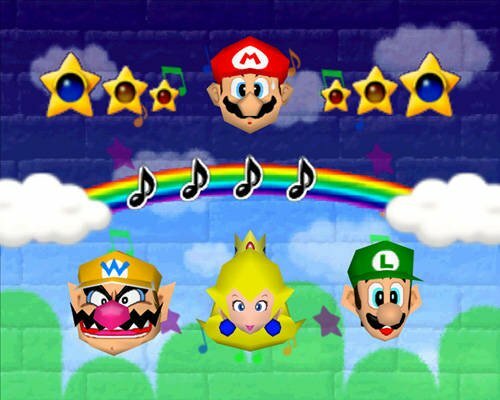 Up to four players can travel around the boards, while competing in mini-games for Coins and using items to get a sneaky advantage in order to win the most Stars and become the ultimate victor: the Super Star! You can also visit Mini-Game Land to re-play any of the 64 mini-games from the Adventure Boards. Plus – prove your mini-game mettle in the Mini-Game Stadium: including Battle, Trial and two-player Duel Mini-Games! 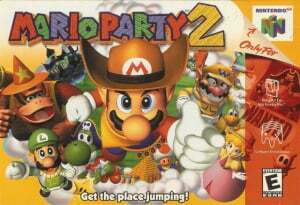 MARIO PARTY 2 !!!!!! Oh, YEEEEEEEEEAAAAAAAAH !!! Thank you, Nintendo !!!! This is why they won't release the first. It's dissapoitning that they won't release the first one but at least this one is being released on vc. Yes Iv'e Been Waiting For This As I Can't Get It For The Nintendo 64, Why Not Release 1 and 3 At The Same Time? I remember having played this game (along with the first one) with my cousins a few times years ago. It was so much fun. I used to ruin my palm back in the days with MP 1 myself and I'd do it again. Drake, I read the link, but couldn't find the reason why Mario Party isn't getting released. Can you tell me please? The link reads "controversies" at the end, there is a section called controversies in that wiki-article and only one sole controversy is about the original Mario Party. No need to say any more, I guess. I'm so looking forward to this! It was also fun just watching the computers competing. 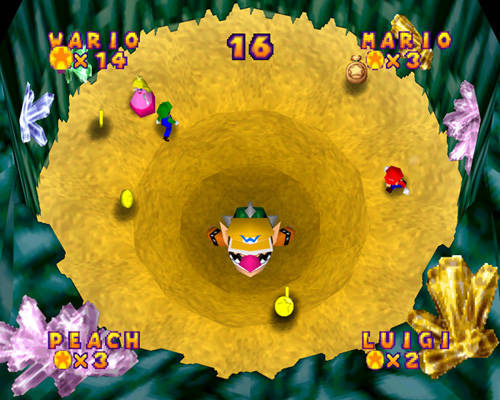 mario party 1, with the rotating joystick minigames. I remember that. it's funny because i really did get TERRIBLE blisters rotating that plastic stick, attempting to ride a bycicle...something with boo....idk...but that's a dumb reason not to release the first one....So excited for MP2 though. 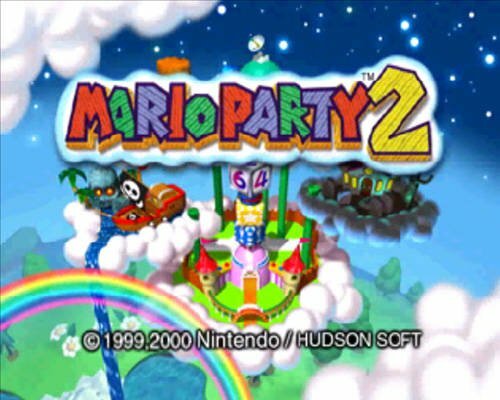 I've been waiting for the Mario Party series to come out since the wii launched. definetly a release day buy! OMG its finally here hopefully Mario party 3 is on its way . the funny thing is, no one would ruin their palm anywhere near as much using the classic controller or gamecube controller because they're rubber coated. The reason the N64 did so much damage was because it was solid, hard, ridged plastic. It will be the Christmas present for my French country !!! 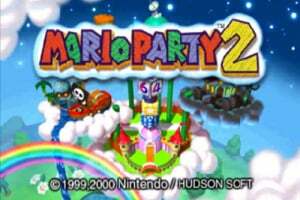 I think Mario Party 2 will be released either in the week before europe gets this game, the same week, or the week after. It's great that this game is finally getting released. EDIT: Yes! It's being released on the same week as Europe! As soon as I get a wii points card, I will get this game. Nice. Should be a lot less stressful on my Gamecube analog stick than the N64's. It will be released Christmas Week watch and see everyone.So unless i get some more Nintendo Points later i'm waiting on it.At least i finally got the games that i put off for so long mostly any way. 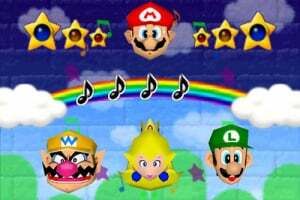 Let's wait Mario Party 3. That's my favourite. I think that why Mario party 1 not is the first out is the Control's in the game?! I remember that I get hurt by the control in my hand:-(. So it can be difficult for Nintendo to change N64 To Gamecube Control's Maybe? 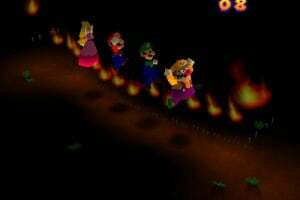 The first mario party not being released doesn't affect me. I've got it! And the levels been better. I downloaded this tonight as a Club Nintendo Reward. 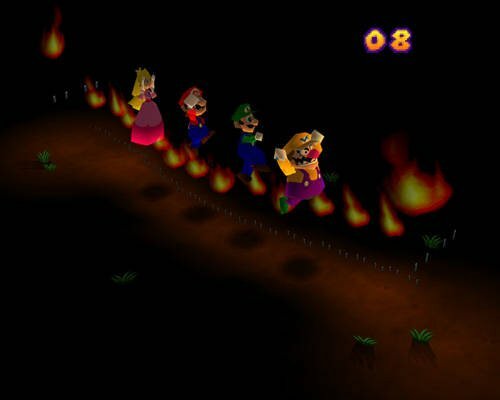 I forgot how much fun this was. I played it a LOT back in the day. 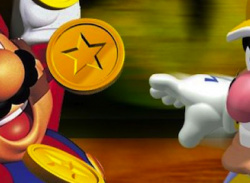 Mario Party 1 needs to replace the analog mechanics with maybe button pressing mechanics.